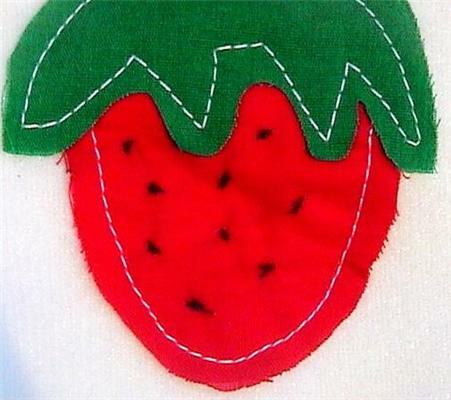 I raw hand appliqued the strawberry on the outside pocket; and accented it with black dots in good quality embroidery floss. 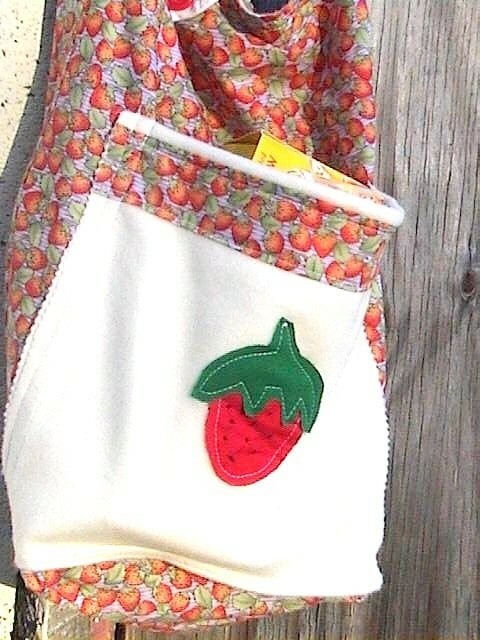 The outside pocket is wide enough for a few of your small items, and has a snap closure. 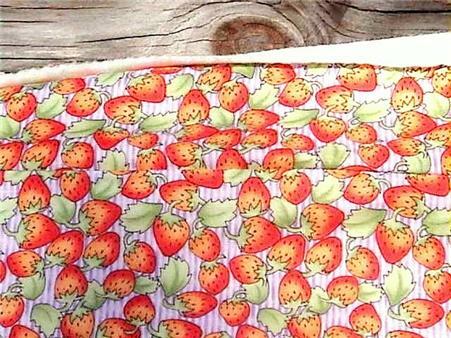 The strawberries fabric is by Debbie Mumm. 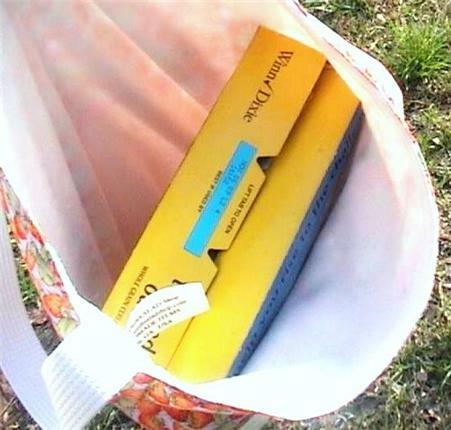 This tote is fully lined. 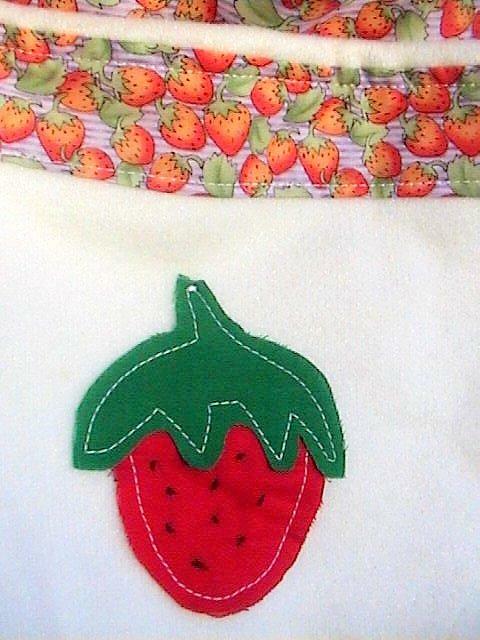 The strap is securely quadruple stitched on the inside; and is long enough to be carried on the shoulder.